The Himachal Institute of Public Administration has organised a five day training programme on “Project Management and Participatory Development” for the Forest Officers of Chattisgarh which was inaugurated by R.K. Gupta, IFS, Principal Chief Conservator of Forests, Himachal Pradesh today. Speaking on the occasion he said that he would explore the possibility of sending a team of forest officers of Himachal Pradesh to Chattisgarh to have first hand experience of the practices being followed by the state in the field of Non Timber Forest Produce. 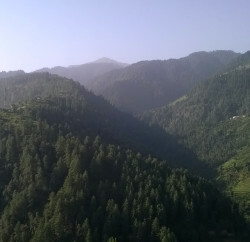 R.K. Gupta said that Himachal Pradesh was the pioneer in the field of participatory development as this practice was being followed by Himachal Pradesh from 1940 where as the same was adopted at National level in 1998. 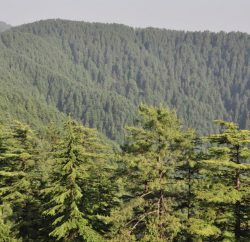 The participants of this programme would be visiting Himalayan Forest Research Institute, Shimla, National Bureau for plants and Genetic Resources, Shimla and Forest Training School Chail during the course of training to get first hand knowledge of the research activities being undertaken by these institutes, he added .